Oh wow! He was sounded to be a sweet guy. Each Sunday I go to church and sit in a pew. I am surrounded by my husband and three delicious children, and I am overwhelmed with gratitude for the life I’ve been given. How can this be? Life hasn't always been this blissful. I was blessed at a very young age as a child actress when I joined the hit television show “Little House on the Prairie” but in my real life true joy always eluded me. By the time I attended Catholic high school, I prayed daily for “the strength to find peace” in my life. My unpredictable, tumultuous home life had left me wishing for calmer waters. Happiness was too big of an ask. So I prayed. Now I look back on those years on the "Prairie" think about the importance of faith not only in my life but throughout “Little House.” In fact, my character's story arch culminated in a two-part evangelical finale in which Michael Landon’s character summons a miracle for his adopted son, my older brother, James, played of course by Jason Bateman. After a shootout at the town bank where young James takes a bullet, everyone thinks he is as good as dead, lingering in a coma. The only holdout is Pa (Michael Landon), who clings to hope and refuses to accept what looks to everyone else a forgone conclusion. The central theme of show is clear: hold onto faith, even in your darkest hour, when all evidence seems to point to the idea that your faith is, at the very least, misguided. Landon’s message, and he knew his audience, was the power of absolute faith. Taking that leap. That leap of faith, he seems to argue, is the essence of belief: to accept what you cannot prove and lean into what you cannot necessarily see. Decades after the episode aired I'm shocked when I go back and watch the action unfold. Like Landon's character I took the leap. And looking around at my family now, I know God was there to catch me. I count my blessings, and I am deeply humbled. I take no credit for what my family has, and I assign no blame for the inevitable hardships that crop up in life. I know that I am deeply flawed. I’m ashamed of my petty ambitions. I vow to try harder, to share what I’ve been given, and to do better by my fellow man and woman. My eyes fill with tears as I thank God for the love of my family.I feel so blessed. Each Sunday as I sit in prayer, I am refreshed and renewed. I know that I have a clean slate for another week, to walk out of church in the broad sunlight and try, again, to do better. I need that reset – the opportunity that Sunday worship provides. To give myself a break, to start anew, to let go of any anger or pain that is weighing me down, and to remember what is truly important. At the times in my life when I’ve felt adrift and alone, that Sunday service, that time in prayer, has been my life raft, my salvation. Now, that’s the gift I’m trying every day to give my children. To know there is a fresh start, a chance at peace and even joy, awaiting them in a pew every Sunday, if they have the courage to take that leap of Faith. 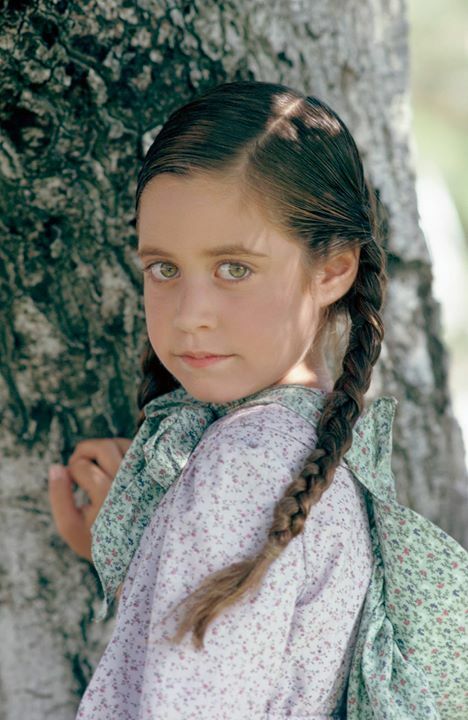 Melissa Francis was an actress best known for her role as Cassandra Cooper Ingalls on “Little House on the Prairie”. She is the author of the new book “Lessons from the Prairie” (April 25, 2017). Melissa Francis is the host of "After the Bell" on the Fox Business Network at 4pm ET. Thanks for sharing this Dave! Really beautiful....I would like to get this book. Little House on the Prairie added a new photo to the album: Little House on the Prairie Photos. Don't miss our LIVE chat today at 12:30 pm eastern with Melissa Francis aka Cassandra Cooper, right here on Facebook! Have a question for her? Leave it in the comments and she might answer it live! Melissa "Cassandra" Francis, is currently co-hosting AFTER THE BELL with David Asman! it airs M-F at 4pm on Fox Business Network! Now, she is smokin' hot!!! I got her book but, I didn't read it yet!!! I recently finished listening to Lessons from the Prairie. It was good, but I probably would have liked it more if I had read it instead of having it as an audio book. Melissa is great, but it sounded more like she was delivering a news report than reading a book. 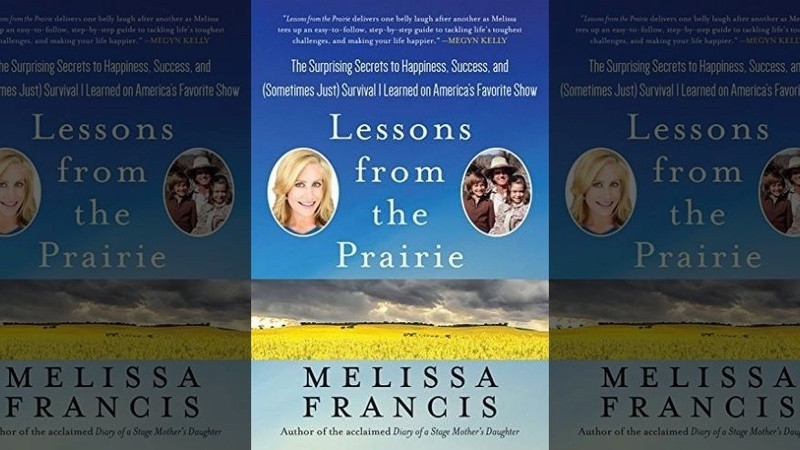 I got Lessons from the Prairie about two months ago...I loved reading Melissa's story and got through the book in a few days (which is a feat for me anymore LOL). 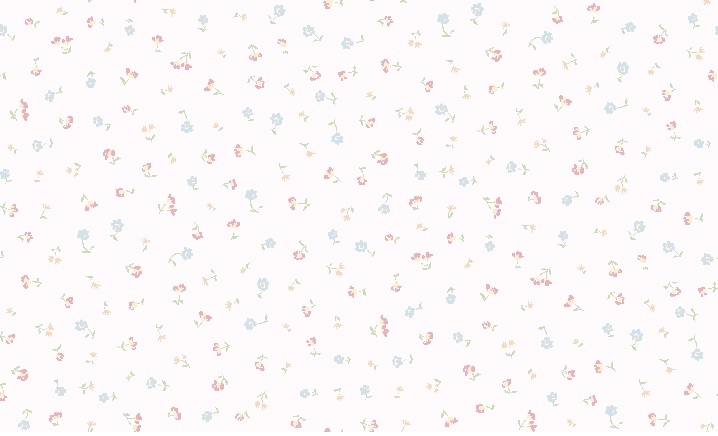 When I was finished with it I ordered her first book, Diary of a Stage Mother' Daughter. I found it fascinating to see her story from her point of view - I felt horrible for her having grown up in such conditions but what an amazing story of strength. I loved how, in both books, she spoke so fondly of working with Michael Landon. Fox host Melissa Francis — who once played Cassandra Cooper Ingalls on “Little House on the Prairie” — is selling her own home. 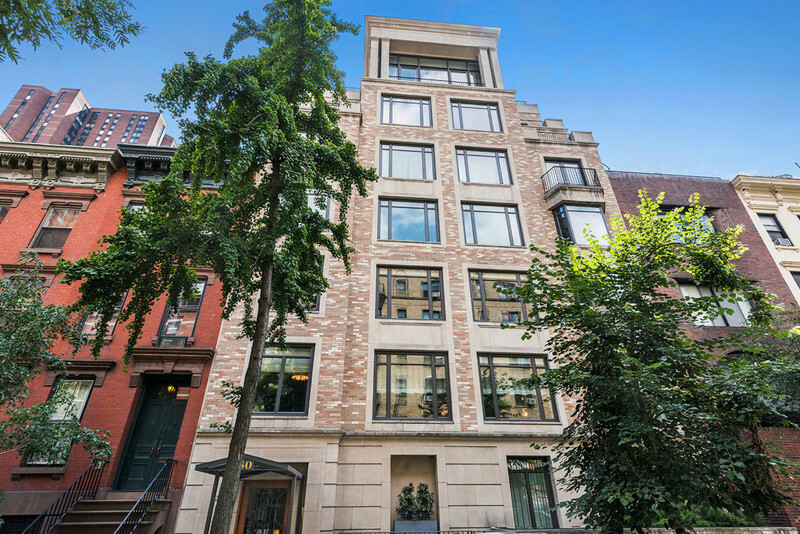 It’s a far cry from those “on the range”: The Upper East Side condo takes up a full floor in a boutique limestone-and-brick building at 180 E. 93rd St. The apartment is asking $6.99 million. The four-bedroom, four-bathroom unit is a roomy 3,000 square feet and comes with a large chef’s kitchen and, of course, a media room. It was designed and renovated by decorator Celerie Kemble. Building amenities include a gym, a children’s lounge and private storage. The listing broker is Core’s Patrick Lilly.